Invest 55 minutes in this film. It is excellent. It will probably only be online for a week or so. Ok, so this happened on January 25th in Memphis. I would not have been on the radio for over 35 years. It is a great honor, and I share that honor with everyone who supports the blues in North Texas. 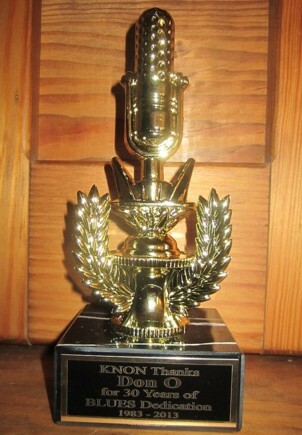 My acceptance speech in Memphis is HERE. 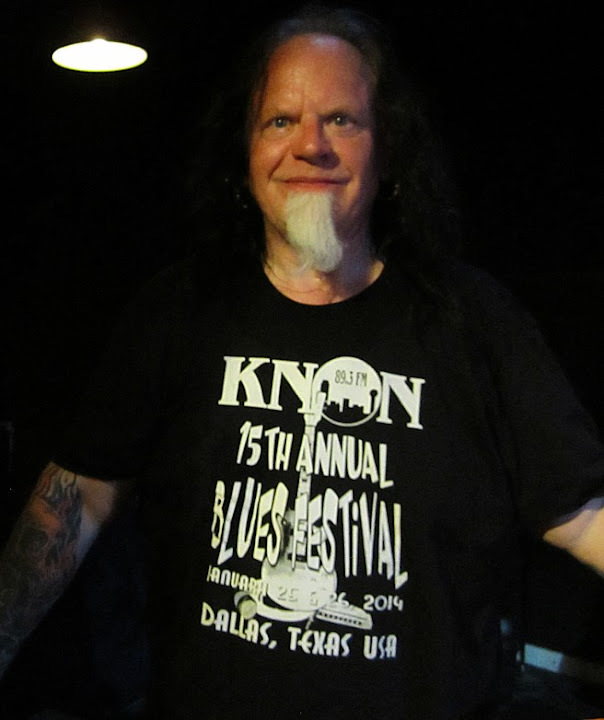 The 20th annual KNON Blues Festival is happening January 26th and 27th at Poor David's Pub in Dallas. JMac's annual Stevie Ray Vaughan tribute show will broadcast Monday, October 1st from 6 pm to 8 pm on KNON. Are you ready for Freddie?? Time for my annual Freddie King birthday tribute show, Friday, August 31, from 6 pm to 8 pm on KNON 89.3 FM. 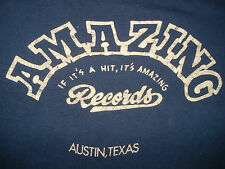 2 hours of nothing but the Texas Cannonball, Freddie King. 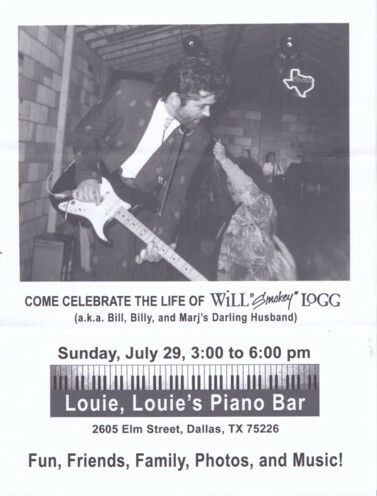 There will be a celebration of life gathering for Will "Smokey" Logg on Sunday, July 29 from 3 pm to 6 pm at Louie Louie's Piano Bar, 2605 Elm Street in Dallas. Cafe Momentum will have a special charity event featuring Jim Suhler and Santos Puertas on Sunday, May 27 at 6 pm. Reservations are required. Hash Brown has a new jam at Mac's Southside on Lamar. Wednesdays at 8 pm. Ann Armstrong's CD release party for her new CD, Party in the Underworld, will take place at Poor David's Pub on Friday, February 23rd. Shawn Pittman is back making music and has a Kickstarter campaign to fund his new CD with Jay Moeller. Are you ready for Freddie?? Time for my annual Freddie King birthday tribute show, this Friday, September 1, from 6 pm to 8 pm on KNON 89.3 FM. many wonderful national acts. He also had a microphone behind the bar and would sometimes blow harp while working, earning him the nickname "The Harptender." There will be a benefit and celebration of life for Kent Viceroy of The Superkings on Sunday, July 23 at Poor David's Pub at 3 pm. 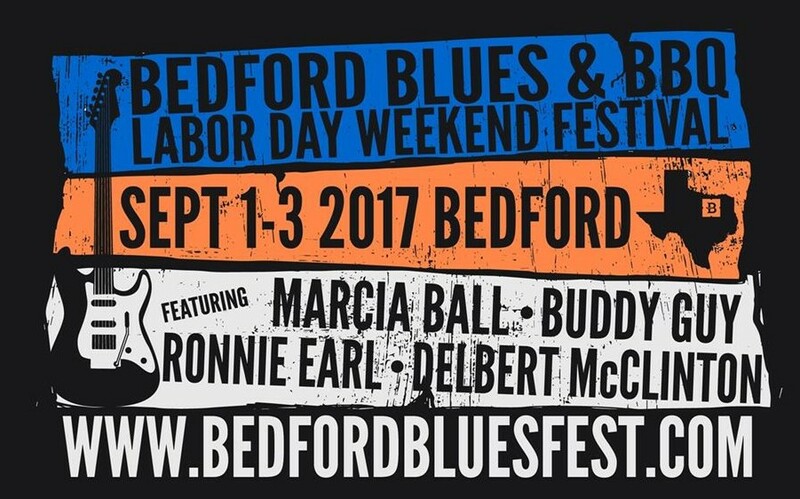 Bedford has announced their headliners for the annual Bedford Blues and BBQ Festival. I'm really excited to see Ronnie Earl in town. E.J. Mathews has scheduled the CD release party for his new CD, King of the Barnyard, at Bucky Moonshines on Friday, April 28th. 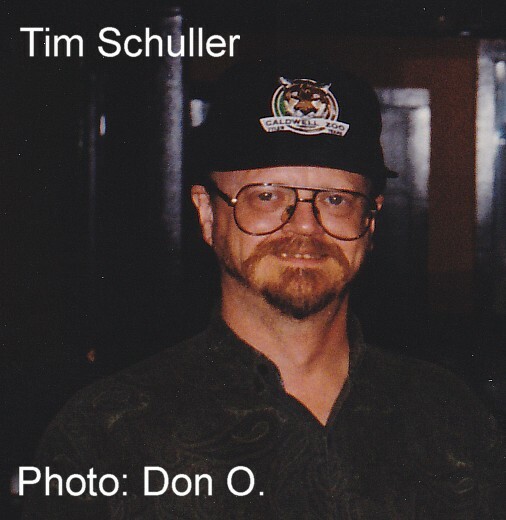 Paul Jenkins, former bass player with Smokin' Joe Kubek and Bnois King for many years, passed away yesterday. He appeared on 4 of Joe and Bnois' CDs. Monday mornings between 1985 and 1994. He had been battling cancer since 2009. Are you ready for Freddie? Time for my annual Freddie King birthday tribute show, this Friday, September 2, from 6 pm to 8 pm on KNON 89.3 FM. 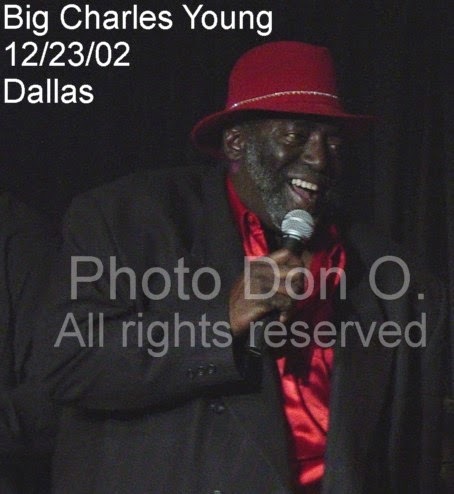 Tutu Jones reports that Dallas Blues singer Big Charles Young passed away on June 1st. Facebook is reporting Mark Pollock passed away on November 13.
from 3-5 on Sunday, October 18, at Donnelly's Colonial Funeral Home. 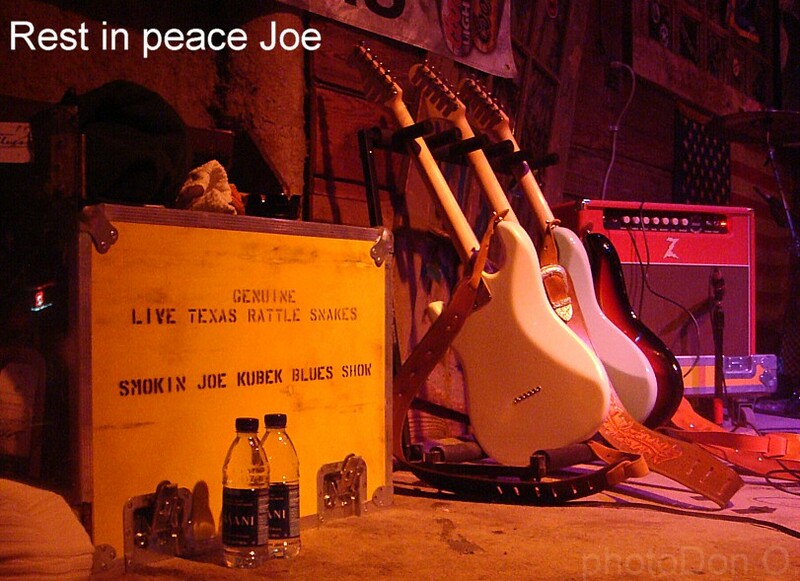 Smokin Joe Kubek passed away suddenly on October 10 while on tour in North Carolina. Are you ready for Freddie? Once again I will dedicate an entire radio show to the music and memory of FREDDIE KING. 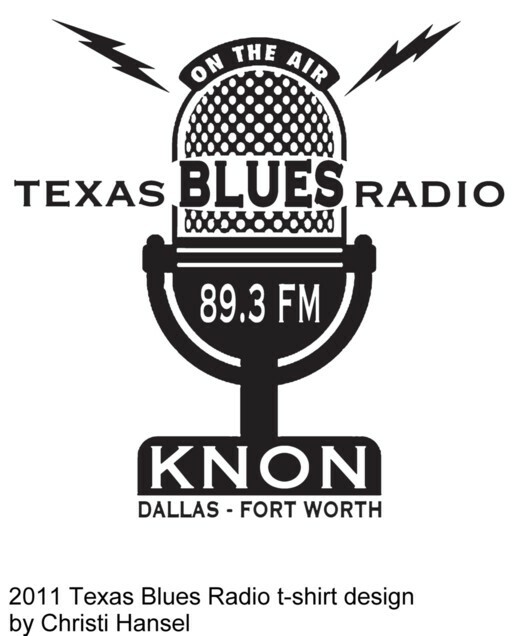 This year's Freddie King tribute will be Friday, September 4th from 6 pm to 8 pm on KNON 89.3 FM. Here's the wake and funeral info for Joe Jonas (Joseph Jones). Look for another HUGE benefit for Mark Pollock in September. Miss Marcy has released her new CD, Deep Ellum, on CSP Records. She has a CD release party scheduled for August 15 at Poor David's Pub. Former Freddie King and Cold Blue Steel guitarist Mark Pollock is battling cancer. There will be a benefit for Mark at Poor David's Pub on Sunday, July 12 from 3-10 pm. So many musicians want to play at the show that they had to add an additional 3 hours. 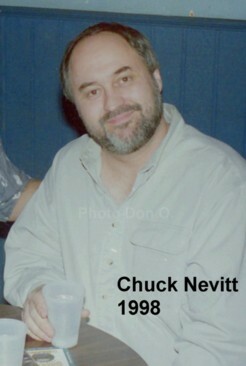 Dallas Blues Society Records founder Chuck Nevitt passed away unexpectedly on April 26. He was just 59. 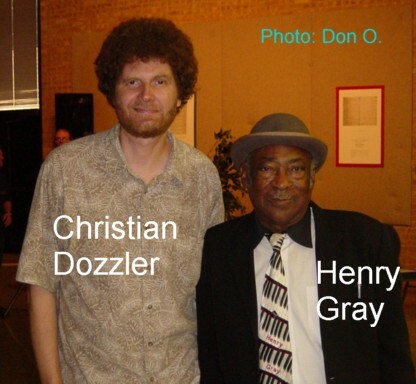 Chuck loved the blues and was instrumental in resurrecting the career of Zuzu Bollin. 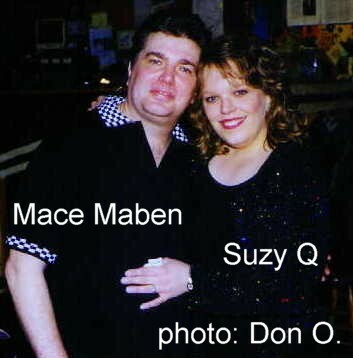 His label released CDs by Henry Qualls, Big Al Dupree, Denny Freeman and Johnny Moeller. 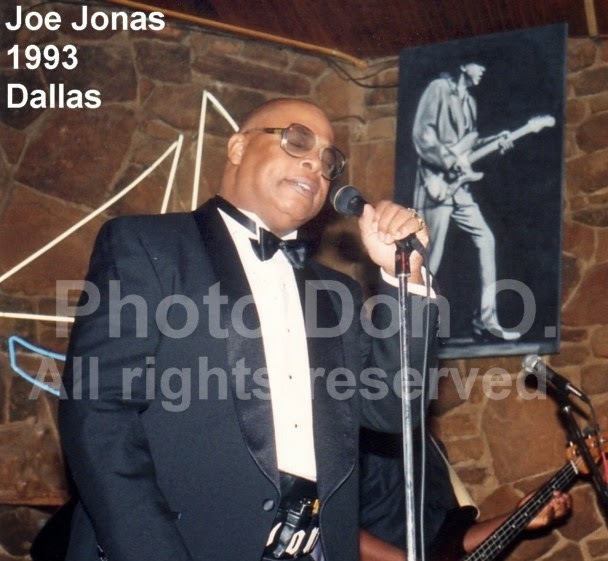 Chuck also promoted many live shows in Dallas back in the 90's and for many years sponsored a "show and dance line" listing many live blues events arounnd DFW. There will be a memorial gathering from 2 pm to 8 pm at Poor David's Pub on Sunday, June 7. Smokin Joe Kubek and Bnois King will release their new CD, Fat Man's Shine Parlor, on February 3. They have a CD release party at the Granada Theater on February 6. Our dear beloved brother Michael 'Cadillac' Johnson has to have an operation to remove a tumor on his parathyroid gland in his neck. He does have insurance and the prognosis is good for the surgery. The only problem is he needs to come up with the deductible for the insurance to be able to make this happen. This is hard to do on a fixed income! It is time for the friends of Cadillac Johnson to step up and help him, he who helps so many. The benefit will be Sunday, December 28th at Fred's TCU location from 4pm-9pm. Acts scheduled to appear are Buddy Whittington, the Super Kings, Mike Morgan, Dave Milsap, Band of Brothers, Blind Dog Cooley, Steve Hill, Dylan Bishop and Reo Casey, and many special guests. There will also be a silent auction, we are still taking auction items. If you cannot make the benefit and would still like to make a donation, you can do so by making a payment thru PAYPAL and send to revcadillacjohnson@hotmail.com or send check or money order donations to Michael Johnson P.O. 470183 Fort Worth, TX 76147-0183 Please feel free to share this poster and info on your page, the more that know about it, the better chance we can get Cadillac the help he needs! Thanks everyone! 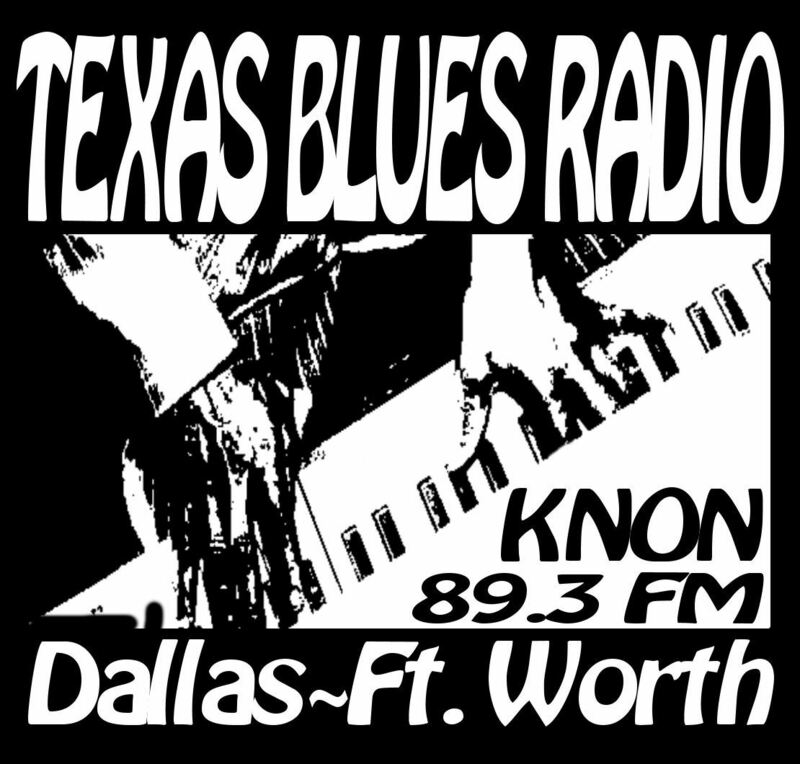 KNON's Texas Blues Radio is looking for ideas for their 2015 blues T-shirt. The design must be 1 color and not depict any real person living or dead. 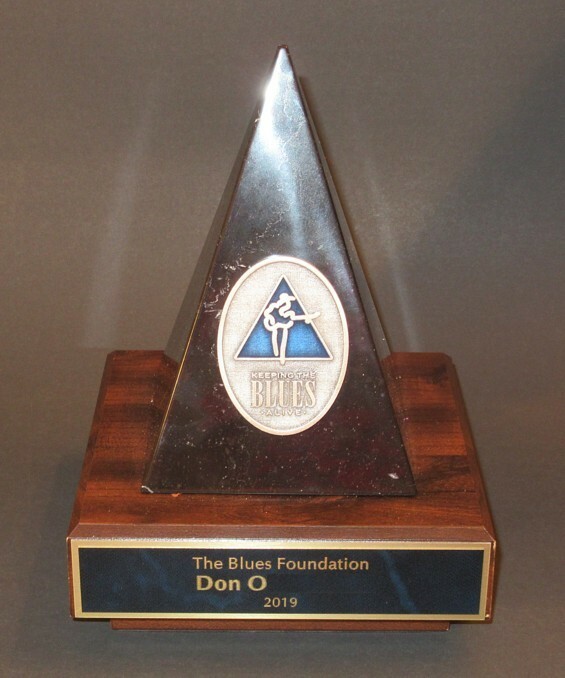 Send your design ideas to donoblues@knon.org. Aaron Burton will have a CD release party for his new CD on 11/28 at Poor David's. Smokin Joe Kubek and Bnois King will release their new CD on February 3rd. Are you ready for Freddie?? 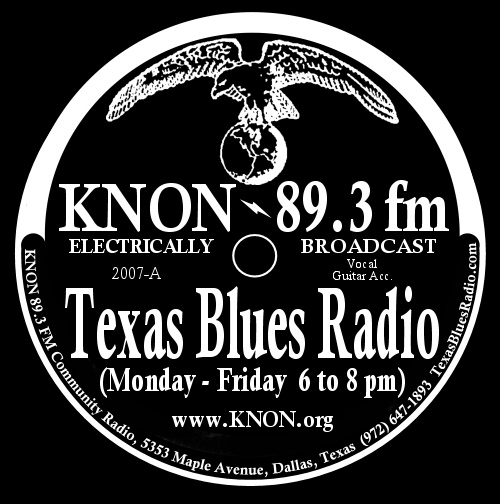 My annual Freddie King birthday tribute show will take place Friday, August 29 on KNON 89.3 FM at 6 pm. 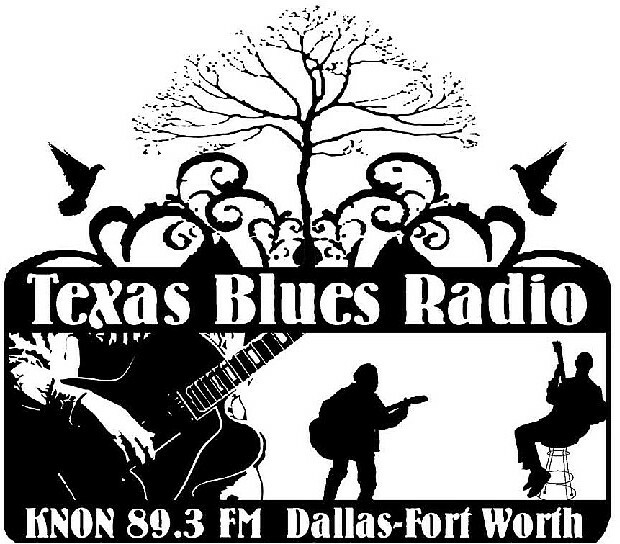 Two hours of nothing but the Texas Cannonball, Freddie King! As always tune in for some rare tracks and maybe some special guests. Texas Slim is headed back to Europe in October. Mike Morgan has just returned from a tour in Spain with Holland K. Smith and Shawn Pittman. 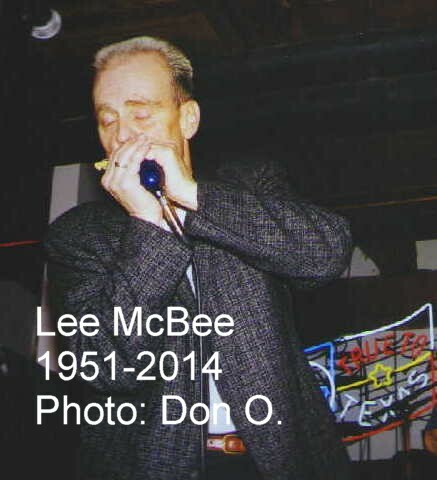 Former Mike Morgan and the Crawl harp player and vocalist Lee McBee passed away yesterday in Lawrence, Kansas at the age of 63. Condolences to his family and many, many friends and fans. The service for Lee McBee will take place at 2:00pm with a visitation to follow. Christian Dozzler has released a new duo cd with guitarist Michal van Merwyk. J&J Blues Bar will shut their doors again after May 10th. Congrats to Gregg A. Smith who has a big article in the current issue of Living Blues Magazine (#230). Jim Suhler's new CD Panther Burn charted #14 in the March Living Blues Radio poll. Look for a new Hash Brown blues jam back in Deep Ellum beginning April 15. Venue is the RBC Club, which will be at the site of the old Blue Cat location at 2617 Commerce Street. Thanks to everyone who came out for my big 30th anniversary celebration at Poor David's Pub. We raised over $1000 for KNON. Thanks to all the musicians who graced the stage and to Poor David's for their usual fine hospitality. Also thanks to Chef Ivan at the Alligator Cafe for the excellent BBQ dinner. Thanks also to the KNON board of directors for the nice little presentation piece below. Fort Worth club Mambo's will be closed September 2-10 for some cleaning and upgrades. Are you ready for Freddie? My annual Freddie King birthday tribute show is THIS Friday, August 30th, from 6 pm to 8 pm on KNON 89.3 FM. KNON will feature Live and Local music week July 14-20, with many live performers in the studio and all local CDs in between. Artists scheduled include Christian Dozzler, Mike Morgan, Joel Foy, Hash Brown, Jason Elmore, Aaron Burton, and more. My show on Friday, July 19 will feature Mike Morgan, Christian Dozzler performing LIVE and Wanda King is bringing by her new CD. 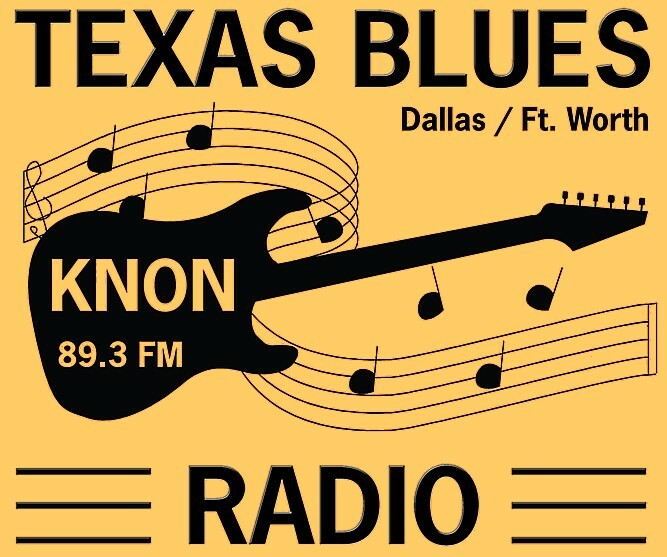 Celebrate DFW music all week with KNON! It's a fact that the life of a blues musician is hard and financially challenging. This becomes even more glaringly obvious when misfortune strikes. One of our own is suffering and needs our help. Legendary West Coast blues singer Finis Tasby suffered a severe stroke in December, leaving him with what we hope will be only temporary paralysis. He is still very much with us mentally and besides paralysis on his left side he is doing well. Finis does have Medicare but, as he is unable to perform he has no income. 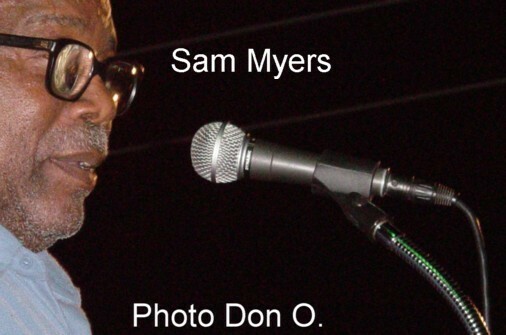 His last recording was with the Ruff Kutt Blues Band on their charting CD "That's Where The Blues Begins". This is a stellar CD in its own right, and now you have the opportunity to get a signed copy of a CD you'll absolutely love while helping out a stricken Hall of Fame Bluesman. Texas Slim is set to head off for a 3 week European tour. Have a fun trip, Slim! The Fine Arts Division of the Dallas Public Library is pleased to host 508 Park: The Past Meets the Future, an exhibit and event celebrating the “resurrection” of the 1930 Art Deco building at 508 Park Avenue in Downtown Dallas. 4th floor of the J. Erik Jonsson Central Library (1515 Young Street). The exhibit will be open June through December. For more information, please call the Fine Arts Division: 214-670-1643. The Ruff Kutt Blues Band will release their new CD, That's When the Blues Begins, on March 18 on CDBaby. The CD features Anson Funderburgh, Zac Harmon, and Finis Tasby in a program of all original songs by James Goode. The benefit for Jerry Clark in Fort Worth raised almost $1200. Freddie King will be inducted into the Rock and Roll Hall of Fame in Cleveland in April 2012. It's about time! Now when are we going to have a statue of Freddie in Dallas?? Here's a review of a visit I made to Dublin City FM in Ireland where Blues Train host Charlie Hussey was kind enough to invite me to bring along a stack of DFW blues artists to play. "Jimmie Vaughan returns to his hometown for his first live appearance in Oak Cliff in 45 years. This will be a special show that will include a conversation onstage with Jimmie and some of his old classmates and band members. He will talk about his younger brother, Stevie Ray Vaughan and their time in Oak Cliff, followed by a concert with his Tilt-A-Whirl Band. VIP seats include upfront seating and a meet-and-greet with Jimmie after the show. A one-of-a-kind evening with Oak Cliff’s favorite son." 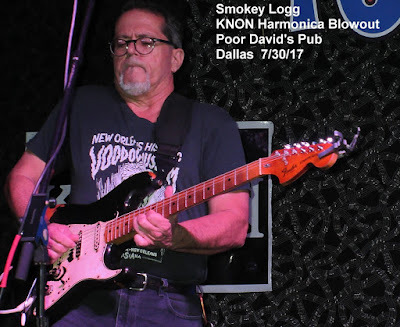 Smokin' Joe Kubek and Bnois King's van was burglarized on September 24th in Crosby, Texas and the band lost a lot of uninsured equipment. There will be a benefit for the band at Pearl in Dallas on Friday, September 30th. My annual all Freddie King radio show is scheduled for Friday, September 2nd at 6 pm on KNON, 89.3 FM (online at KNON.org). Freddie's daughter Wanda King and keyboard player Lewis Stephens are scheduled to join me to talk about Freddie. Rumor has it that Pearl will re-open in September, in the same location. James Goode says the Mill Block Blues CD has reached #16 on the June Living Blues radio poll and #5 in blues sales on CDbaby. Sales have generated over $4000 for the Blues Foundation's Hart fund. Legendary Fort Worth guitarist Cornell Dupree passed away on May 8th. After many years and much mystery, the death certificate of Blind Lemon Jefferson has been found. It has been published in the Frog Blues and Jazz Annual #1. Interestingly, he was listed as GEORGE Jefferson, probably because the information on the deceased was provided by his landlady in Chicago, Emma Jackson. His occupation is listed as BLIND and birthplace as Dallas, Texas (also incorrect). Place of Death is listed as "in the street 3700 block of Rhodes Avenue". Cause of death "probably Chronic Myocarditis". Saturday, April 9, Craig Hopkins will participate in a jazz and blues program in the auditorium at the public library, 300 N. Allen Dr., Allen, TX 75013 beginning at 3:00p.m. Following his presentation about Stevie Ray Vaughan, there will be performances by Jason Elmore and Hoodoo Witch, Falcon Music Quartet and local blues/soul musician Tutu Jones. Condolences to Lucky Peterson and his family on the death of his father, bluesman James Peterson, on December 12th. There's a nice article with video and photos on Texas blues and gospel in the Dallas Morning News today. Are you ready for FREDDIE? 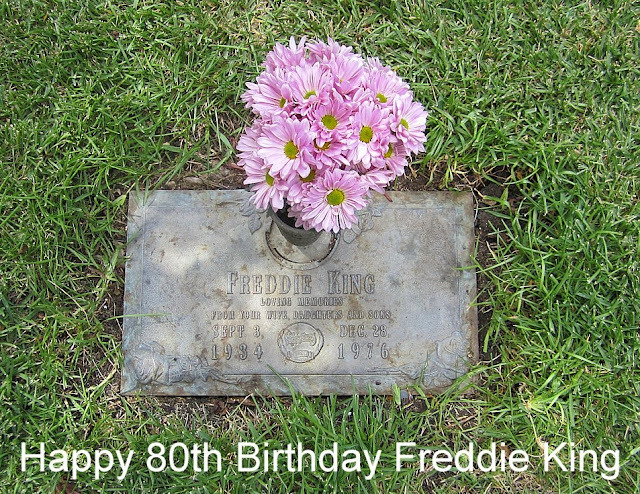 My annual Freddie King birthday special will be Friday, September 3rd on my radio show on KNON. 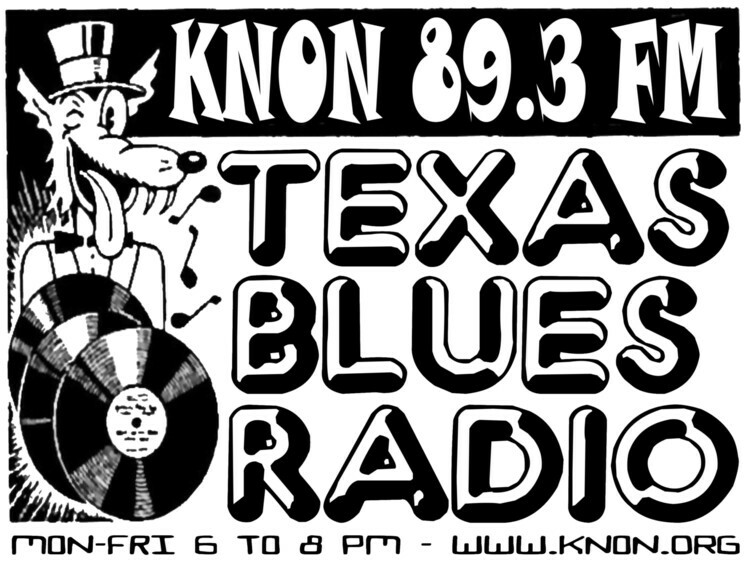 Two hours of nothing but Freddie King from 6 pm to 8 pm on KNON 89.3 FM. Some of you long time KNON listeners may remember Marc's Hot Licks which used to be on KNON on Monday mornings back in the 80's and 90's. Marc used to play a great mix of pre-war acoustic blues and boogie woogie piano and his show was much loved by many KNON listeners. I recently re-connected with Marc, after many years, and I invited him to come back and do a special edition of Marc's Hot Licks on my radio show some Friday night. 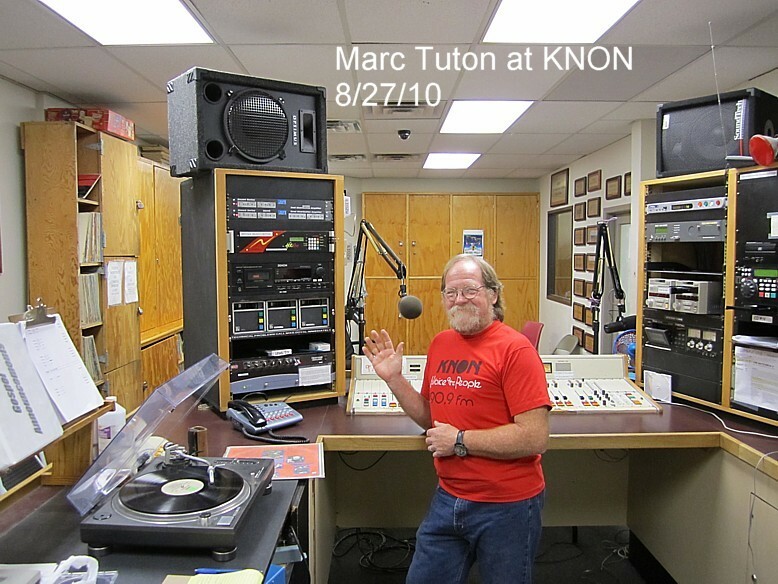 Well, the date has been set and Marc will be back in the KNON studio on Friday, August 27th between 6 pm and 8 pm doing a special edition of Marc's Hot Licks. Please pass it on! Joanna Iz reports the Southwest Blues hiatus will continue through July. Publishing will resume in August, pending the outcome of the SW Blues benefit concert on July 11th. Cheryl Arena reports Catfish Blues will no longer feature live music. WADE AID Benefit for Wade Mundinger. 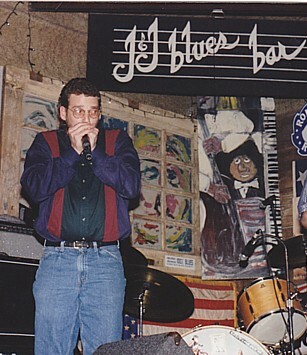 Wade owned the original Muddy Waters, Gulf Coast Restaurant, and managed Deep Ellum Blues. He moved to Florida a few years ago. 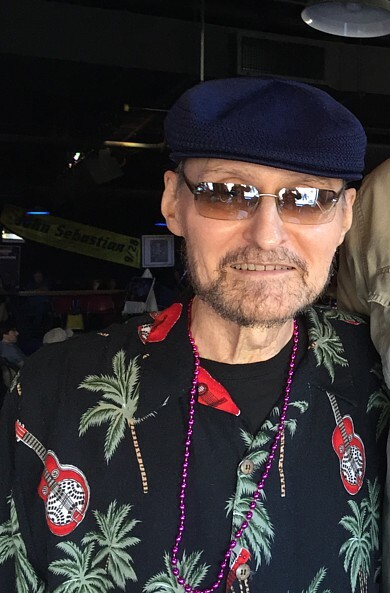 He recently suffered a stroke while visiting in Dallas and needs help with living expenses while going through therapy. Funds will help with living expenses while going thru therapy for the next few months. Wade will make a full recovery and is doing very well. Ginger, who used to host Texas Blues Radio on Tuesday night, will be back visiting the week of March 1. She will be sitting in on Blue Lisa's KNON show on Thursday, March 5 from 9 am to noon. K.M. Williams and Washboard Jackson will be performing at SXSW in Austin as part of the Dialtone Records showcase on March 18. Congrats guys!! The Fort Worth Weekly reports J&J Blues Bar in Fort Worth will be closing after January 30th. Last friday, I lost 2 guitars outside of Sons Of Hermann Hall in Dallas, TX near the corner of Elm and Exposition. One was a newer model snow white Fender Stratocaster with a rosewood fretboard, pearl pickguard, and humbucking bridge pickup. The other is a beat-up, sunburst colored Fender Squire with a maple neck, it has a Sun Records sticker covering up a quarter-sized scratch in the finish on the body, near the bridge. Most of the hardware is rusted pretty badly as well. Neither guitar is worth very much to anyone but me. I make this meager living with those tools and I recorded my first album with them, so they have senitmental value to me. If you hear or see anything, or if you have any suggestions as to where I should start calling or looking, please send me a signal of some kind. The line-up for the 11th annual KNON Blues Festival has been announced. Dates are January 30 and 31st. Details at KNON.org. Christian Dozzler and Robin Bank$ have released their new CD, Livin' Life. 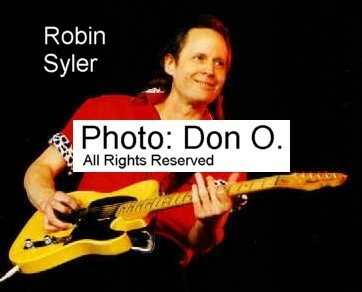 Robin will be in town for CD release parties beginning November 20th. Blues piano (and accordion and harmonica) ace Christian Dozzler will be a special guest on my KNON blues show THIS Friday, November 13th,for a special ALL PIANO BLUES show! 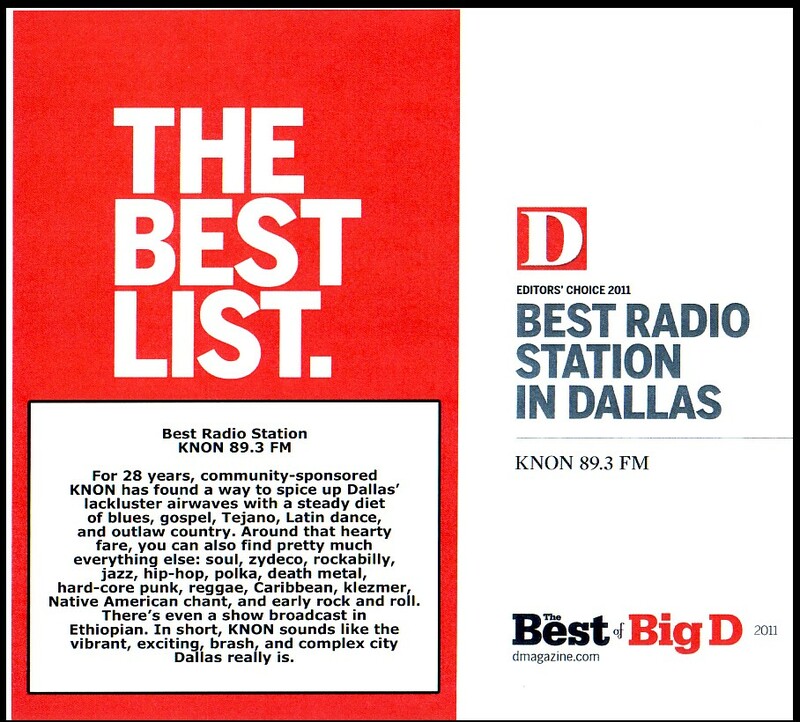 That's 6 to 8 pm this Friday on KNON 89.3 FM in DFW or at KNON.org online. Tune in for some great PIANO blues! K.M. Williams has released his 18th new CD, The Poor Boy Recordings. JMac's 20th annual SRV birthday tribute will be broadcast on Monday, October 5th from 6-8 pm on KNON 89.3 FM. Mambo's restautant in Fort Worth is now booking live blues. 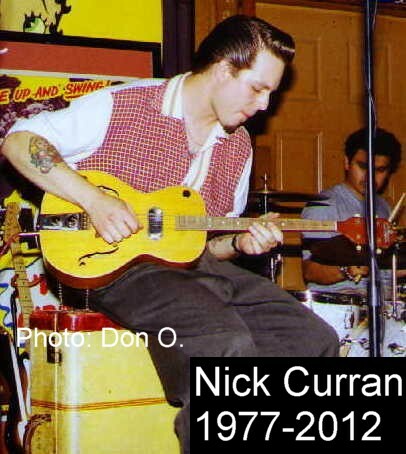 Former DFW resident Nick Curran has signed with Delta Groove Records and will release a new CD with his new blues band, Nick Curran and the Lo Lifes, in early 2010. Texas Slim has a CD release party scheduled for September 12th at the Hole in the Wall. Patti Coghill reports there will be a memorial for Ronnie Bramhall on August 25, 2009 6-8pm at Spring Creek BBQ in Irving at Beltline & 183. Look for a new CD from Christian Dozzler and Robin Bank$ this fall.. Pops Carter will be celebrating his 90th birthday with a show at The Boiler Room in Denton on June 6th. Cookie McGee cut a new live CD for Topcat Records at Pearl in Dallas on February 28. Lucky Peterson and James Butler were in the band. Alan Govenar has released his most recent book, Texas Blues, the Rise of a Contemporary Sound, on Texas A&M University Press. Chris Ruest plans to record his new CD in December. Shawn Pittman has been in the studio in Austin and has several Dallas area gigs over the next few months. 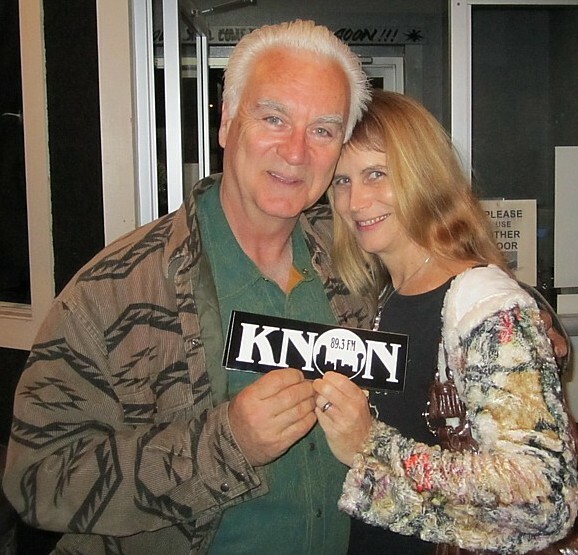 Ginger and Big Daddy Hal have swapped nights on KNON's Texas Blues Radio. Ginger is now on Tuesday and Hal is now on Thursday. I will be celebrating 25 years on KNON on Friday September 5th with my annual Freddie King birthday tribute show. 2 hours of nothing but Freddie King! Thanks for 25 fun years! Click on the image below to see and hear the KNON boogie! The Irving Arts Center is featuring an exhibition of blues and jazz paintings by Ernie Benton & Daggi Wallace through September 21st. It's free. Info HERE. Todd Parsnow reports Lucky Peterson will be playing Sunday's at Gezellig on Greenville in Dallas. Showtime is 9:30. Congrats to the Blue Shoe Project who won the Grammy for Best Traditional Blues Recording. Last of the Mississippi Delta Blues Men was recorded live at the Majestic Theater in Dallas in 2004 and featured Honeyboy Edwards, Pinetop Perkins, Henry Townsend, and Robert Lockwood. CD release parties have been scheduled for Smokin Joe Kubek and Bnois King's new CD and Mike Morgan and the Crawl's new CD in March. According to Randy McAllister's website, he is out of the hospital and recovering well. More bad news in 2008. Randy McAllister was in a serious auto accident on January 7. 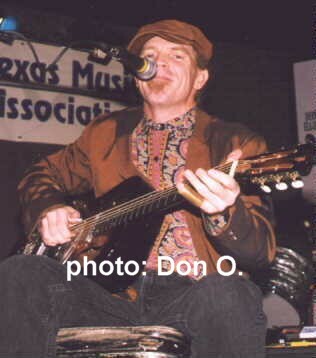 Here's the news from his myspace page: "Monday, January 7th while returning to Texas from Louisiana, singer/songwriter Randy McAllister's car was struck by an on-coming 18-wheeler. Randy McAllister was taken by CareFlite to LSU Medical Center in Shreveport. His condition is critical but stable. Updates will be posted shortly." Congratulations to the Blue Shoe Project. 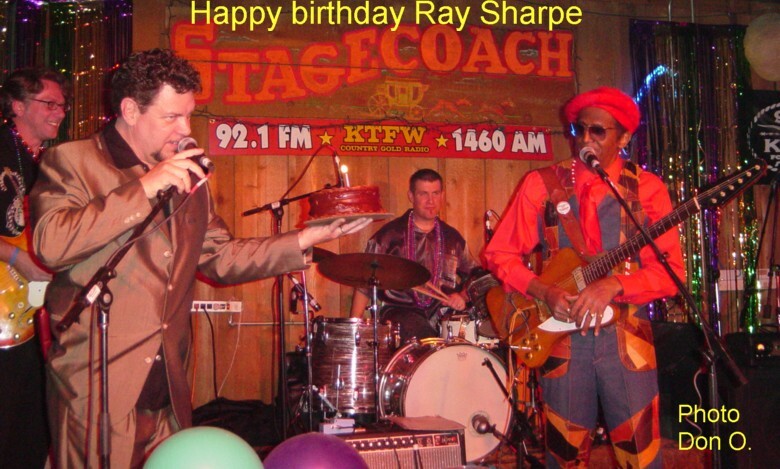 Their first ever CD, Last of the Mississippi Delta Blues Men, recorded live at the Majestic Theater in Dallas in 2004, has been nominated for a Grammy Award. The James Hinkle Band will represent the North Texas Blues Society at this year's IBC competition in Memphis. Trainreck will also represent the Society in the duo category. There will be a benefit to raise travel funds for the bands on Sunday, January 6 at Arts 5th Avenue in Fort Worth. Early show, 5 pm!! Hash Brown will have a new Monday jam at Mardi Gras beginning November 26. Joe Jonas is headed over to tour in France and Belgium in late November. Christian Dozzler will be touring in Germany in November. 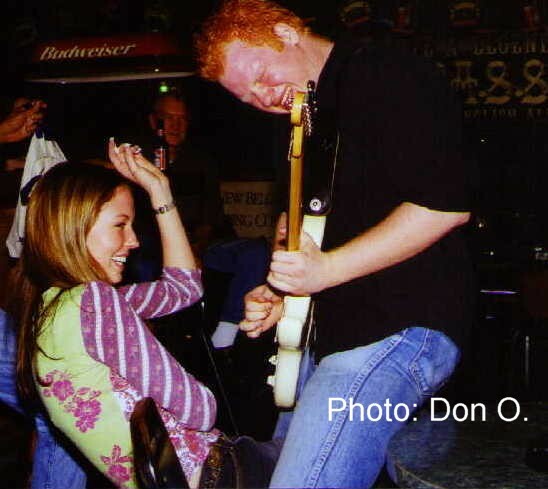 A benefit will be held for David "Bottlehead" Miller at the Sons of Hermann Hall, Sunday, April 1, from 5 pm-1 am. Leo Hull reports bassist Kelley Hickey was killed in an auto accident on February 10th. Hash Brown's Sunday blues jam has moved to Pearl in Dallas, 8 pm-midnight. The play Blind Lemon Blues will run Feb 1-4 at the Hall of State in Fair Park. UT Dallas will hold a jazz and blues festival January 26 and 27 at the UTD campus in Richardson. Noted blues researcher Paul Oliver will speak and a performance of Alan Govenar's play, Blind Lemon Blues is scheduled. Thanks to Pegasus News website for the heads up. 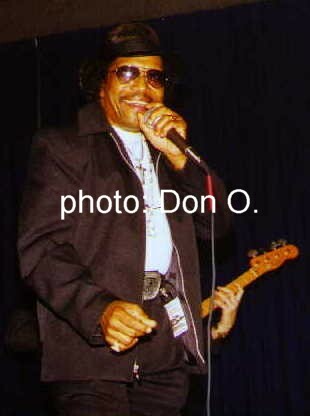 Texas Slim and the Love Machine, will represent the Denton Blues Society at the International Blues Competition in Memphis in 2006. 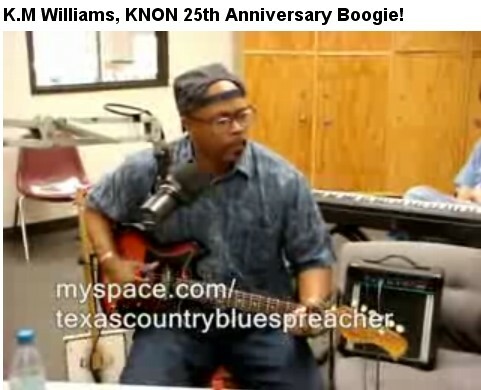 BB King will be 80 on September 16 and I will be doing an ALL BB KING show on KNON that evening. KNON will also be collecting non-perishible food, clothing, and other supplies for locally housed Louisiana and Mississippi evacuees, all day. Info at knon.org. Fort Worth's historic Bluebird club has reopened and has live music on Friday and Saturday nights. Jim Wells is now out of the hospital.